Find many homes available in some of Henderson’s more popular master planned communities including Black Mountain Vistas, MacDonald Highlands, Roma Hills, Champion Village, and Green Valley Ranch. Homes range from Spectacular luxury custom homes, large 3, 4, and 5 bedroom homes, neighborhoods with no HOA, gated communities, guard gated communities, condos, and townhomes. Any price range is available for sale in the 89012 zip code. The 89012 zip code is found along Horizon Ridge from the 95/93 freeway to Valle Verde Drive. 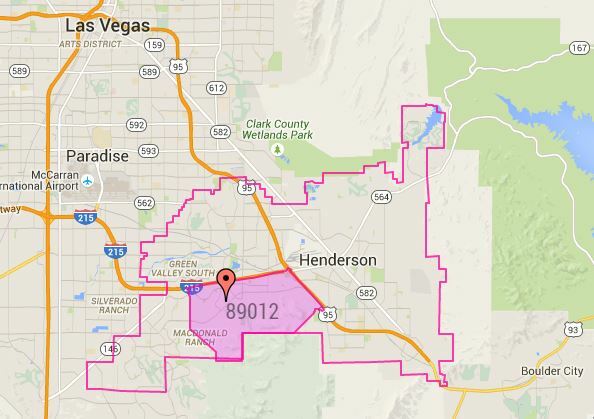 Visit the Henderson zip code map to see where the 89012 zip code is located.